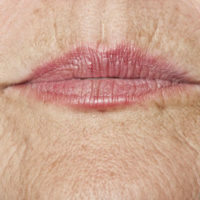 A comprehensive explanation of the many skin conditions encountered in an aesthetics practice is included in these sections. A broad background and understanding of these conditions will prove invaluable in daily practice and in designing individual treatment plans. According to the American Academy of Dermatology, acne is the most common condition for which skincare consultations are sought. Each year in the US, 50 million people experience problems with acne. A combination of inflammation and bacterial overgrowth result in acne after androgenic hormones cause increased sebum production. Acne is graded in severity. Skincare professionals can do a great deal to help individuals with acne. Treatments include topicals and procedures. Educating the client about home care is also essential. The two types of skin aging are intrinsic aging and photoaging. Intrinsic aging occurs from free radical damage resulting from internal cellular metabolism and energy creation. Intrinsic aging occurs in all skin but is easiest to identify on non-sun-exposed areas. Photoaging is also related to free radical damage but originates from sun exposure. Photoaging causes the visible and microscopic changes of the aging face. Eczema is a very common condition causing irritated, dry, itchy, sensitive skin. Eczema of the hands affects ten percent of the population. Eczema is worse in conditions of dryness, excess environmental exposure, and winter climates. 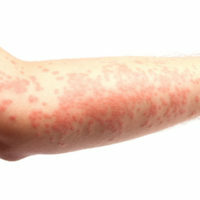 Persons with eczema may experience a great deal of discomfort and even pain from this conditions. 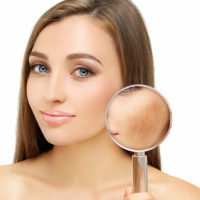 Aesthetic treatments can be very beneficial for eczema. Clients frequently seek skincare consultation for pigmentary irregularities. 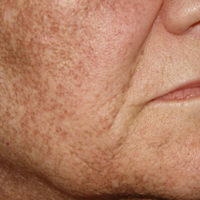 Hyperpigmentation may relate to photoaging or may be a complication related to post-procedural inflammation. In both of these cases, the hyperpigmentation is related to free radical damage. Solar lentigines or “age spots” are accumulations of oxidized pigment associated with aging skin. Aesthetic treatments and topical products are both very helpful for hyperpigmentation. Melasma or chloasma is sometimes called the “mask of pregnancy” because of its association with the hormonal increases occurring during pregnancy. Melasma also occurs from other situations in which estrogen triggers pigment production. Melasma usually fades very slowly on its own. Photoaging is the most common type of skin aging found on sun-exposed areas. When UVA and UVB solar rays strike skin, free radical damage occurs and skin aging progresses. 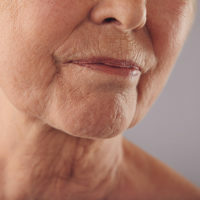 Photoaging has many effects including increased cancer risk, decreased immunity, wrinkling, sagging, lentigenes (age spots), and pigmentary irregularities. Photoaging is the most common problem for which skincare consultation is sought. 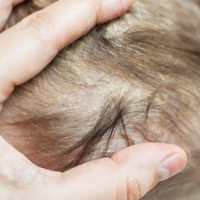 The rash of psoriasis consists of silvery scales on a red base with sharp borders most commonly found on the extensor surfaces of joints and also the scalp. Psoriasis is a lifelong problem and requires medical treatment. It is commonly associated with nail changes as well as psoriatic arthritis. 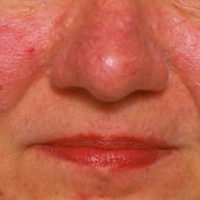 Rosacea is an inflammatory condition that flares in response to various triggers. 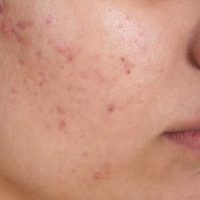 It is commonly misdiagnosed as acne although it is not acne. Fourteen million adults in the US have rosacea although 25 percent are unaware of their diagnosis and of measures that could be helpful for their symptoms. Symptoms begin gradually between the ages of 30 and 50 and are progressive. Aesthetic treatments and topicals are very helpful for rosacea. Seborrheic dermatitis affects five percent of the population and is often mistaken for other types of skin problems. The rash is located in skin areas having more numerous sebaceous glands including the central face, scalp, and anterior chest. It occurs in all age groups and is worsened by stress. 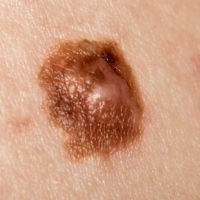 The three major types of skin cancer, in order of frequency, are basal cell carcinoma, squamous cell carcinoma, and melanoma. Actinic keratoses are precancerous skin lesions resulting from sun exposure. Identifying these lesions is essential for early recognition and treatment which determines successful outcome.